While there's no one-size-fits-all secret to B2B marketing success, the top industry influencers, thought leaders, and B2B marketers like Ann Handley, Jay Baer and Jeff Bullas are helping to create the trends that inspire all of us. As they blaze a trail with their marketing efforts, we can all learn from the technologies and techniques they use to connect with their target audiences and build stronger relationships with clients and prospects. 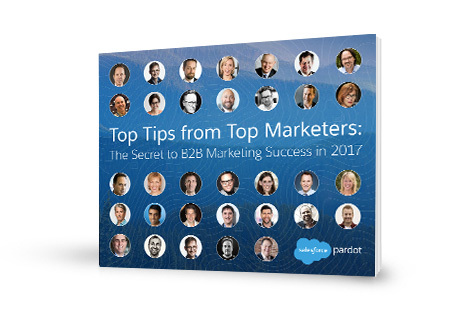 From how to incorporate more 'mobile' thinking into your marketing strategy to creating content that will keep your prospects engaged, in this e-book you'll learn what's topping the list of some of the industry's top B2B marketing trailblazers.